During the past six months we’ve been quiet, but magic was going on behind the scenes. Over the coming months we’ll talk more about what’s happened, what’s changed, and what’ll happen next. The Open Data Button has now been combined with the Open Access Button. Now you can find and request both articles and data in one great service instead of making separate searches and requests. Don’t worry, everything you’ve done with the Open Data Button will still work, it’ll just now be on the Open Access Button site. We’ve designed a transparent and effective request system to help make more research accessible. 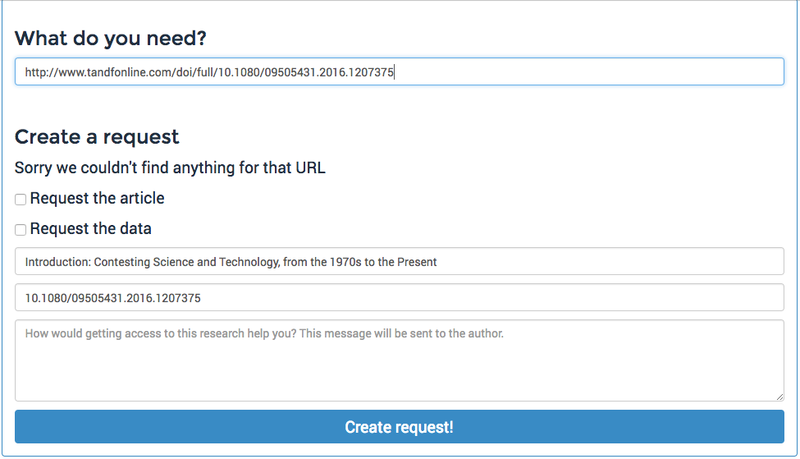 Originally the Button recorded when users were blocked from getting access to research — now all of those paywall blocks will be transformed into requests. What this means is that we’ll be contacting the author of the article and requesting they make the article accessible. Requests are now editable by the community, which will provide valuable information such as updated author contact information. We hope these requests will help authors adopt Open Access archiving and that we’ll be able to instantly provide access to you in the future. Although we’ve got quite the backlog to work through, we’ll be trying to process new requests within 24 hours after Open Access Week. Don’t want to install the plugin? No problem! You can now use the Button in your browser. You simply submit a URL on the Browser Button page — the Button will search for an available copy of the article or data. If we are unable to get you immediate access, you can submit a request. We miss our old bookmarklet and know users do, too. We’re now bringing it back! The bookmarklet will work just like the plugins and is availiable now. We’re embracing simplicity with the new Button. We’ve worked hard to give users less to do: you don’t need to login to find articles and data, we’ll collect author emails for you when making requests, and creating a new account is easier. The new site, logo, and plugin also focus on simplicity and efficiency — so the focus can instead be on the research you need. This year’s Open Access Week theme is “Open in Action.” What better way to take action during, and after, the week than by starting a request for an article or dataset you need? The new plugin is available for Chrome now, along with a bookmarklet for other browsers, and the Browser Button (this is a new feature and new name, so if you have a fantastic name suggestion, let us know!). A Firefox plugin will be released in a week or two. If there’s an article or dataset you need — give the Button a try right now! Or you can use a sample article to try it out. A great sample article to test the Button is Historical Overfishing and the Recent Collapse of Coastal Ecosystems. Submit this URL http://science.sciencemag.org/content/293/5530/629 on the Browser Button page to test out the new Button. We’re excited about all these improvements, but we’d love to know what you think! Let us know what you think on Twitter or send us an email at hello@openaccessbutton.org. 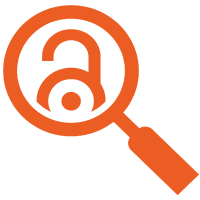 Instantly find and request research articles you need with the Open Access Button. Legally crushing paywalls since 2013.